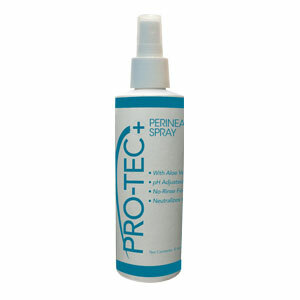 Pro-Tec Plus Perineal/Ostomy Spray form Sterex Medical gently cleanses skin of bodily waste and eliminates odors while gently and thoroughly cleans the entire perineal or stomal site areas. It may be sprayed directly on site to immediately cool heat build up on the skin. Pro-Tec Plus protects skin against harmful bacteria while being non-irritating and neutral pH balanced for optimal stoma and incontinent care. The aloe vera gel that is used in topical ointments a skin lotions is derived from a tropical plant that may have originated in ancient Egypt and is now cultivated all over the world. Aloe vera is a natural moisturizer that is widely recognized to be helpful in hydrating dry skin. When applied directly, it penetrates the skin surface and hair folicals to increase the amount of oxygen brought to skin cells. Aloe contains a wealth of active constituents, including amino acids and healthy fatty acids which are important in the process of skin repair. Aloe also contains salicylates, anti-inflammatory compounds which are the precursors of salicylic acid.